The Giulia comes in three trims. The base level comes with a turbocharged 2.0-liter inline-four engine producing 280 hp. Fiat Chrysler Automobiles Canada said pricing for the 2017 Alfa Romeo Giulia sedan will start at $48,995. The Giulia, which was first shown to journalists in June 2015, went into production in Europe earlier this year. It is the first of what FCA says will be a stable of new Alfa Romeos aimed at resurrecting the brand in North America. The Giulia comes in three trims. The base level comes with a turbocharged 2.0-litre inline-four engine producing 280 hp. The mid-level Giulia Ti adds 18-inch wheels and interior features, and will sticker for $50,995. An all-wheel drive option in the two models costs an additional $2,000. The upper-level Giulia Quadrifoglio comes with a 2.9-litre biturbo V-6 producing 505 hp, with 19-inch wheels and exterior and interior upgrades, and is priced at $83,995. 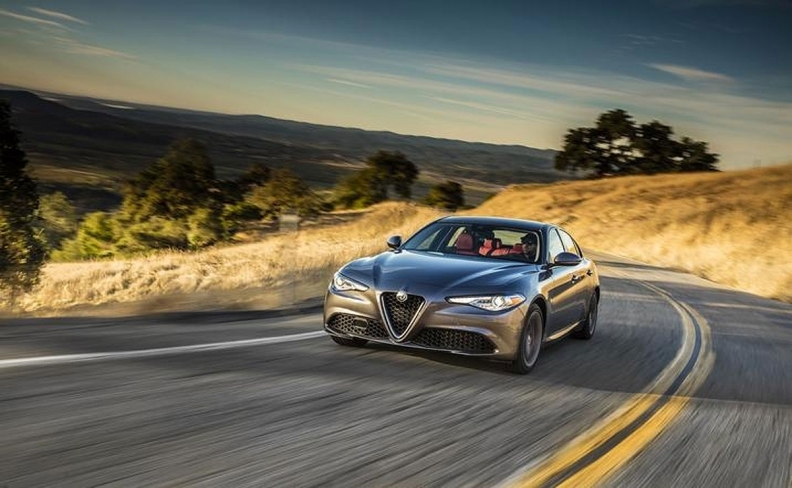 The automaker said the Giulia will go on sale in Canada during the first quarter of 2017. It didn't say whether the announced pricing included delivery. The vehicles will be manufactured at at the Cassino plant in Frosinone, Italy. Larry P. Vellequette and Greg Layson contributed to this report.